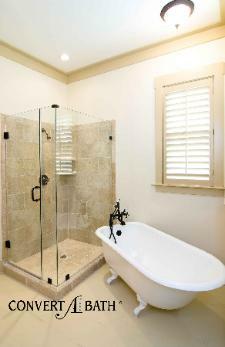 Refinishing bathtub/shower units, vanity tops and kitchen countertops can provide spectacular results at a fraction of the cost of replacement. Convertabath® can renew and repair any surface without the hassle of spending thousands of dollars or dealing with the mess of demolition. Convertabath® finishes can typically be applied in just one day and provide years of service. These finishes can be applied to almost any surface including cast-iron, porcelain, fiberglass, acrylic, cultured marble, laminate and solid surface. There are endless possibilities with color or stone texture selection. 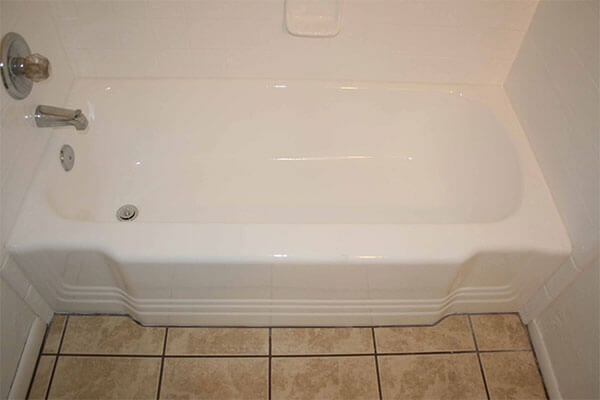 Make your existing tub or shower unit look brand new again with a fresh surface by refinishing and adding life to the room. 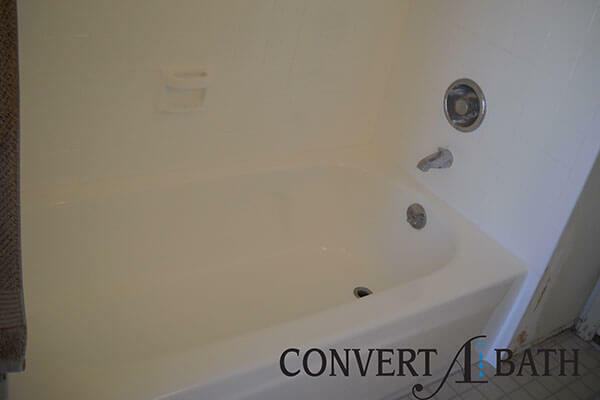 A tub and shower refinish or repair is a quick and cost-effective way of bringing a dingy bathroom back to life without the cost and time of a full remodel. Interested in the high scale look of granite without the high prices and maintenance? 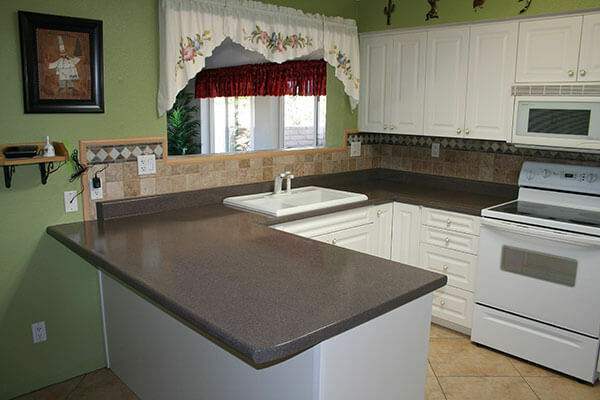 Faux granite can easily provide an upscale look to your kitchen or bathroom surfaces. 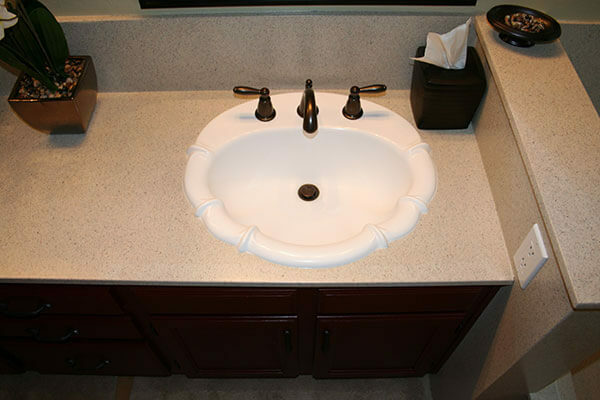 Vanity refinishing will revitalize and refresh your bathroom counter tops. Convertabath™ provides efficient service and top-quality results in our vanity refinishes. At Convertabath®, we provide both commercial and residential kitchen refinishing and repair. Refresh the most important room in your house without going through a full remodel. Don’t let your kitchen and bath fall into disrepair. 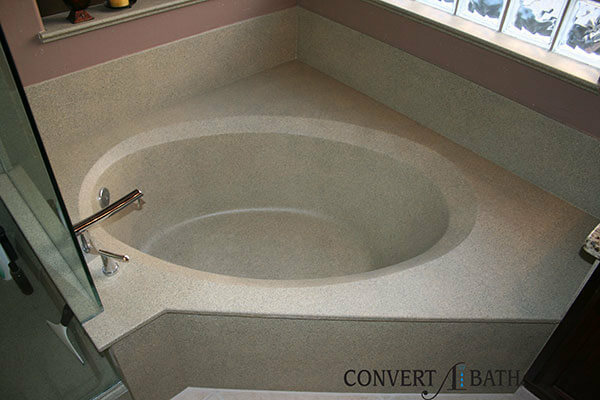 Convertabath® can provide quick and easy repair services for any of your repair needs, including cracked tubs and tile.